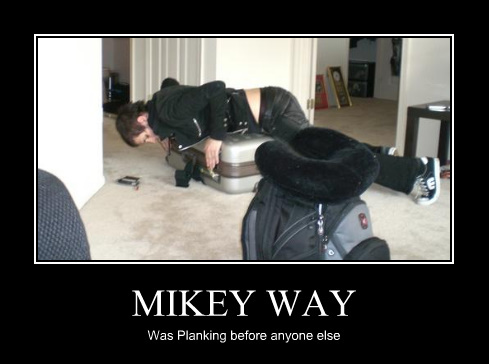 Mikey Way. I'm dying while laughing X'D!. Wallpaper and background images in the My Chemical Romance club tagged: mikey. I'm dying while laughing X'D! This My Chemical Romance photo might contain wohnzimmer, familienzimmer, höhle, den, wohnzimmer, vorraum, salon, and vorzimmer. all i can say is.....I.L.O.V.E.I.T!.!.!. !..